Somewhat contrary to the fears of Nintendo, most iPhone gamers are willing to pay for their games. 93 percent of app downloaders say they are willing to pay for games, higher than the 87 percent who are willing to pay for other forms of entertainment. Games also remain the most popular app category, with 64 percent of users having played games in the last 30 days. Perhaps the most telling statistics Nielsen gives are the percentages of new game downloads. As you can see above, Feature phone (non-smartphones) and BlackBerry users tend to play mostly whatever games are preloaded on their phone. This is how things used to work. 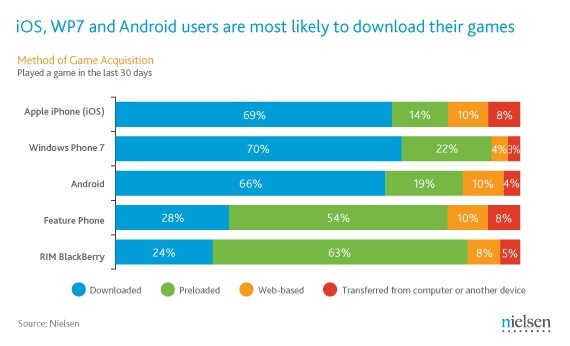 Newer, more app-friendly platforms like iPhone, WP7, and Android have completely reversed this trend, however. Most gamers on these platforms are going out and discovering, then downloading games on their own. This is a very healthy sign for the future of gaming on these platforms. It shows that their userbase is far more engaged and willing to try new things. To some, smartphone gaming will never be put in the same category as the Nintendo 3DS or Sony PlayStation Vita, but the numbers don’t lie. We’d love to see a study on exactly which games are selling (besides Angry Birds) and how much they cost. 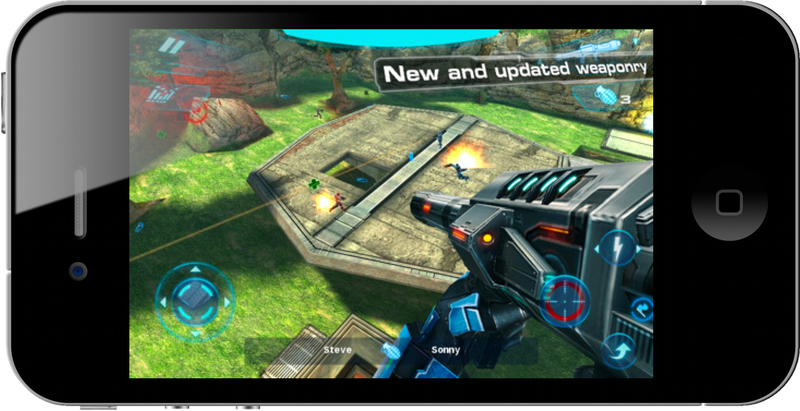 However, it is becoming clear that more people are taking games more seriously on these new touch platforms.